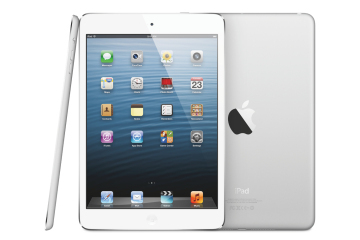 Home » Science/Tech » 3,600 iPad Minis Stolen at JFK Airport! A high tech theft indeed, planned to perfection and executed timely. Two thieves at JFK Airport fled with 3600 iPad Minis. Well, its high time we give armed protection for our high tech gadgets. The stolen products are worth $1.5 Million! According to the Post, it was probably an inside job. Law enforcement sources say someone let the two thieves and their truck into the airport. The crooks used a forklift owned by the airport to load a pallet of iPad Minis onto their truck. They would have loaded two more pallets onto the truck had they not been confronted by an airport worker. The iPads had just been delivered for distribution to various points around the U.S. This isn’t the first time people are stealing Apple products in large quantity. A few years back hundreds of iPhones were stolen from a Brooklyn warehouse. Gold and silver are not robbers target these days, as a matter of fact a Apple product is worth more than that. The robbers of the iPad Mini are still at large and the police are on the lookout for them. They are still to be identified and since the Police believe this to be an inside job they will get a lead very soon. The police are currently investigating and questioning the airport personal and security. Crackdown on Social Media begins! Soon, Internet speed 1,000 times faster than yours!